5-year anniversary of Space Engineers released on Early Access! It’s time for another major update! Coincidentally, it’s also the fifth anniversary of Space Engineers being released in Early Access! A MASSIVE thank you to everyone who has supported us since we launched the game and welcome to all of the new Engineers. I’m happy to share a lot of exciting news and updates about several things we’ve been working on during the past three months. This update is much bigger than I expected and is focusing on better player experience and it’s also addressing a lot of requests we received from you, our great community! Without any further delay, here are the things we’re bringing you. Space Engineers is a very complex game, and we understand that it can be quite difficult for new players to learn how to play it. To smooth this learning curve, we’ve worked on the new in-game help and contextual text which explain basic functionality, features and provides descriptions about blocks and tools. For example, after a new player selects a block for the first time, in-game help text will appear on the screen via Good.bot, and teach the player the basics of building. Once the player has successfully completed these basic building tasks, the in-game help text will disappear. We have designed more than 30 simple objectives. Additionally, players will be able to access in-game help in multiplayer by asking Good.bot questions through typed messages. I hope you will find it useful and easy to use, as we’re trying to make Space Engineers more enjoyable for everyone. The reason we are adding in-game help now is due to the fact we wanted to make sure that the game features are finished, fully tested and fine-tuned before we start adding in-game help for them. 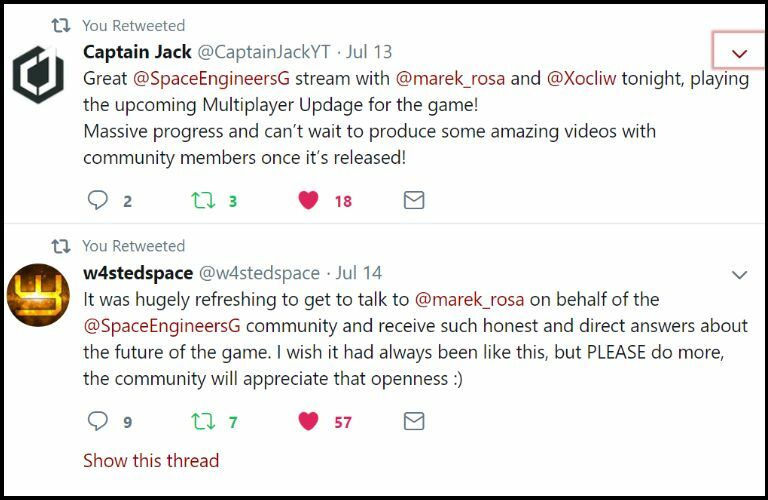 It also takes time to align features into our long-term vision for Space Engineers, because as you know, we change things here and there from time to time :) And the in-game help was one of the steps that needed to happen once we were happy with what we have in the game. Airtightness has been the top voted and the most frequently discussed feature at our Space Engineers support site. With several additions, performance improvements and adjustments to this feature, we are making it an official, fully developed, tested and optimized part of the game. With that, we are of course moving it out of the experimental mode. We also introduce some small features and rebalances to complement the renewed airtightness. Your suit oxygen will now automatically refill whenever you are in oxygenated environment. This means that your suit will replenish oxygen when the player enters a pressurized environment or while dwelling on a planet with a breathable atmosphere. This was done to give more incentives to preparation, building pressurized environments and to generally let oxygen be a more significant and exciting game play element then it used to be. Another feature we are adding into the game are naturally generated asteroid clusters, which were part of our game roadmap! Asteroids will now spawn either as lone asteroids or together in clusters. This was done to get more varied results and create unique environments for players to explore and settle in. 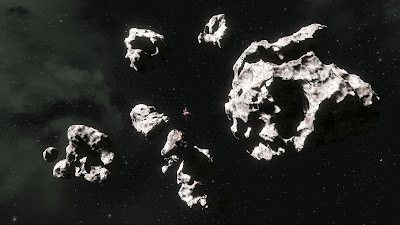 We are adding more than 100 types of asteroids. 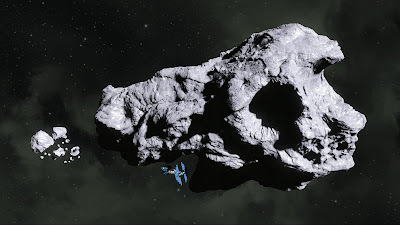 Fractal generated asteroids have been replaced with prefab asteroids, which go through a add / subtract merge generator to alter their shapes by creating caverns and adding debris. 51 new prefab asteroids have been added to ensure variety and many asteroids are now riddled with naturally occurring caves and tunnels. New asteroids are implemented for all new games since the release date. Old, saved games will not have this feature enabled. We’d like to welcome our new AI friend, Good.bot to Space Engineers! Good.bot will help with answering basic questions about the game, such as queries regarding blocks, tools, resources and movement in Space Engineers. We have fine-tuned Good.bot’s knowledge of the game and we will continue to improve its ability to help answer players’ questions and offer hints and tips to make them proficient Engineers. We hope that this will improve your overall experience with Space Engineers. Good.bot has been developed in our sister company GoodAI Applied --- which is also a sister company of our another sister company GoodAI 😉 --- and is currently being deployed in many banks and telco operators around the globe. We have reworked the functionality of relative inertial dampeners. Now, with the updated relative dampeners, you will keep the same speed as the speed of the moving grid you’re connected to. This helps especially in cases when you’re working on a moving ship, or an asteroid, so you don’t need to manually adjust your dampeners. I have already mentioned our plans in the Multiplayer overhaul blog post and I will repeat it here. With this release - we have updated the game to be more accessible for new and existing players (user intuitiveness). The next release for Space Engineers is going to focus on balancing and consolidating various game systems (how you respawn, resources, etc). We still believe there can be other things accomplished, but this is only the beginning of our work in this area. Space Engineers has been in early access for five years now; we know it’s time to get the game out. We are very close. We want to make sure that the game will be fantastic when it goes out of early access. As Space Engineers nears the completion of its first installment, we are focusing on polishing, optimizing and fixing existing features. This first installment of Space Engineers was always about bringing up the building blocks in order to lay down the structure for physical volumetric engineering in an open world and open ended setting - player sets his/her own challenges and objectives. We are basically there. The next steps that will come in future installments, will focus on other aspects of gameplay, new game modes, new challenges and objectives, as well as pushing the technology further. In the long-term, we plan to extend the game and the whole engineering genre into new pioneering directions - just like we did in October 2013 and since then. However, this is still far off and too soon to talk about it now. The same as with many our previous major releases, I am super happy with the work our team has done and super excited to share it with you all! I would like to thank everyone who stood with us patiently for all these years, who kept supporting Space Engineers, who helped with public tests, modders, YouTubers, people running their dedicated servers, people creating new content, people who helped other players to get into Space Engineers and people who believed in our team. Thank you for reading and we look forward to hearing your feedback on this update. For full list of new features and improvements continue to the full update changelog. 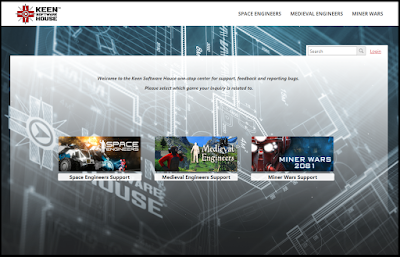 We would be also very happy if you can submit your feedback at our Space Engineers Steam store page and encourage us to do better. We welcome both positive and negative comments, as it helps us to create a better game for you! Marek Rosa is the CEO and CTO of GoodAI, a general artificial intelligence R&D company, and the CEO and founder of Keen Software House, an independent game development studio best known for their best-seller Space Engineers (2.5mil+ copies sold). Both companies are based in Prague, Czech Republic. This month GoodAI organized the Human-Level AI Conference in Prague. Over 500 people attended to see over 40 speakers. I met some great people and had some excellent discussions and would like to thank everyone involved. GoodAI team, conference chair Tarek Besold and the AI Safety panel share the stage at the end of the conference. This month over 500 people attended the Human-Level AI Conference in Prague, which was organised by the team at GoodAI. The attendees got the opportunity to see over 40 experts in the AI field covering a wide range of topics. The conference was a combination of three established conferences AGI, BICA and NeSy, as well as an extra Future of AI Track aimed at a wider audience. The range of issues discussed was extremely impressive, from detailed research on human-level AI to issues such as AI safety, societal impacts and investment. The conference truly exceeded my expectations. The quality of the keynote talks was fantastic, the media coverage (see a few examples in Czech and English below) was extremely wide and the atmosphere was very warm and welcoming. Both participants and speakers seemed to enjoy themselves very much! One of the highlights for me was welcoming the finalists of our Solving the AI Race round of the General AI Challenge to take part in the AI Race and Societal Impacts panel. You can read about some of the discussions surrounding whether to publish an evil AI in Futurism. One of the things that made the sessions, and the conference as a whole, so interesting was the diverse group of contributors sharing their different approaches to general AI or human-level AI. We had representatives from some of the top tech companies (Microsoft, Google DeepMind, Uber AI Labs, Facebook AI Research and more), from the top global academic institutes (University of Cambridge, Harvard, John Hopkins, University of New York, UCL and more), from international organisations (United Nations, DARPA, Aspen Institute and more) and from exciting private sector organisations (ARAYA, Vicarious, SingularityNET, Zeroth.AI to name a few). It was this diversity and representation from across the world that added real value to the lively discussions. However, it was not just in the official sessions that I found such thought-provoking people. We were lucky to have a brilliant selection of volunteers helping us coordinate the conference and the participants too were extremely interesting. I had many fascinating conversations and my only regret is that I did not have time to talk more with all of our friends and participants. Throughout the conference I felt like I was constantly exchanging ideas and learning, from the sessions and the social activities. It was inspirational to see so many people with a genuine interest in general AI / human-level AI. I would like to send a huge thank you out to everyone involved in this conference. I would like to thank my team at GoodAI, especially Olga Afanasjeva, Daria Hvizdalova, Will Millership, Marek Havrda, Tomas Strouhal and Lucie Krestova, who all worked tirelessly putting it together. My big thanks also belongs to Tarek Besold, the conference chair, who did an excellent job of making people feel at home. I would also like to thank the speakers who flew in from around the world, our volunteers, our sponsors, community partners and media partners, everyone at AGI, BICA and NeSy, and finally all the AI enthusiasts who visited the conference! You can now watch all keynotes and AGI sessions as well as a selection of videos from the AI Race & Societal Impacts session. Medieval history has countless examples of conflict and war. 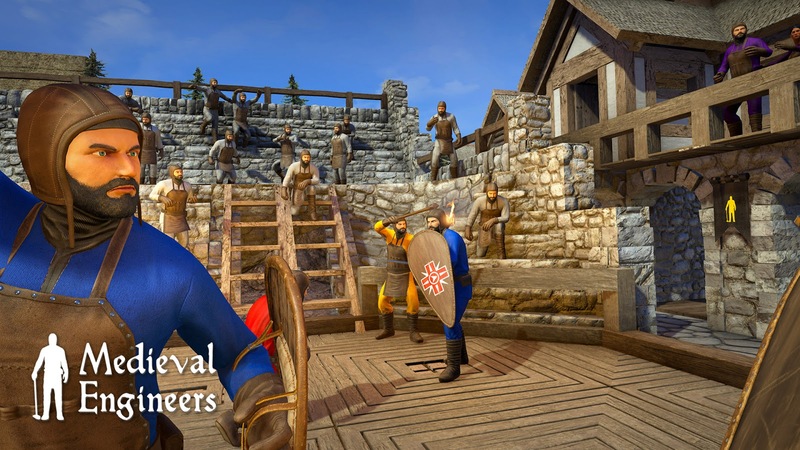 For this reason, combat has always been part of my plan for Medieval Engineers. 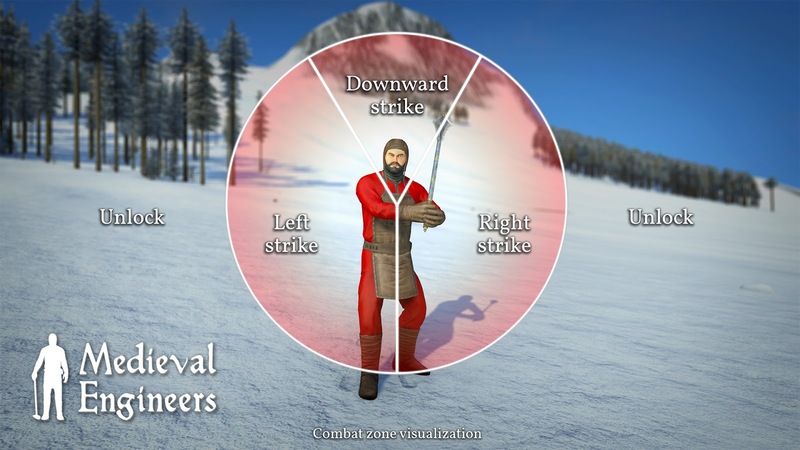 In this update, we are creating combat mechanics to make fighting more intense and exciting for players. In the future, we will polish it even further with the introduction of more decals and enticing particle effects! I want to start talking about the combat system by saying there are a few core ideas that are driving our design. This is the primary idea that is reinforced by all of the other ideas. I see engineering as the core of our gameplay because it’s what makes engineers games different from similar games. There shouldn’t be new controls, purposefully difficult timings, or combination moves to make fighting harder than it has to be. You should understand it well enough after only a few minutes of practice. Winning should always be possible if you are more skilled than your opponent. You shouldn’t have to spend a lot of time on combat if you don’t want to. The only advantages that you can bring into combat are better equipment and more health. Combat makes use of the stats system introduced in our last update. Attacking or successfully blocking will use stamina similar to how it did before, but now there is an additional adrenaline effect. When you are fighting you will hear your heart beating and your vision will narrow. This is the adrenaline effect which makes your attacks and blocks faster than usual. If you build up more adrenaline than your enemy you will be faster, but it will fade quickly if there’s a break in the fight. The part of combat that makes zones possible is target-locking. Since our goal was to keep the controls simple there is no button to lock onto a target. Equipping a weapon, attacking someone, or being attacked will cause you to go into a combat mode. In this combat mode you will be able to lock onto anyone you look at. This is a ‘soft lock’, meaning that you can break it easily by looking away or by moving out of range. While you are locked your character and camera will track the enemy and you will be able to aim attacks and blocks. You can also strafe to the left and the right and remain locked onto your target. All of these combat changes touch on many other parts of the game, which we have been improving at the same time. Our barbarian AI had to be updated to use the combat system, so we took the opportunity to streamline the barbarian behavior. They now focus much more on players and less on attacking blocks. You will want to make sure that you protect your spawn points because the barbarians won’t give up. Parts of the HUD are being updated to display the new combat reticle. I want the HUD to look good and be easy to read, so we are also updating the quest and chat displays with larger text and dark backgrounds to to make them easier to read. The chat is also being upgraded with a movable and resizable window, a scrollable history, and new channels for local, house, and private messages. I’m always paying attention to how the game looks and feels, which is why I wanted new combat animations and sounds. While we were making them we had to develop some new options for our animation controller and some new ways to define how sounds are used. This gave us the foundation we need so that we can add environmental-based sounds and music. This means biome-specific background sounds and even combat music! We are giving you additional features for server admins, things like a remote API to monitor your servers similar to the one in Space Engineers, chat logging and offline chat to keep up with players, and a message of the day to announce rules and events. For modders we have updates to subparts, new definitions for biomes, and updated entity effects. The new chat channels are moddable and all of the new combat related features are available for use in your mods. What were we aiming for? After six months, we are releasing the next major update, which is focusing on the complete overhaul of multiplayer in Space Engineers, and a number of new features and optimizations. The following multiplayer trailer was captured in-game and resembles real gameplay featuring 16 players in multiplayer session, where each of them was building and destroying in real-time, with a constant sim-speed of 1.0. This, and much more is now possible in Space Engineers. Some of you may recognize the trailer scenes from our recent KCN stream: 1st part and 2nd part. Note: Due to the nationwide internet outages that prevented us from streaming today, here is a brief video going over the update and our thoughts behind it. We hope you are having fun with the new multiplayer! Main objective: to solve multiplayer, once and for all. This was a massive overhaul and that’s why it wasn’t possible to make this update in weekly increments. We had to redo major parts of the engine and there was a lot of experimentation - for example changing the prediction protocol on client-server and observing if it’s better for user experience or worse, and many more. 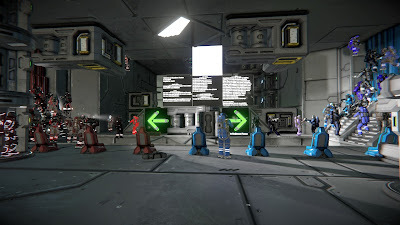 Space Engineers has many systems and special care had to be taken for each of them: player character, jetpack, ship, wheeled vehicles, voxels and planets, fast moving objects, deformable entities, antenas, player standing on a moving grid, colliding grids, rotors, pistons, and many many more. With this, we wanted to bring a new level of experience where you can trust our settings and recommended configuration; one which will guarantee no lag and good game performance, so you don’t need to tweak it. However, we still allow you to choose your own game settings, but we cannot guarantee the game performance to be smooth - however most of the time it is good and above our expectations. For example: our target was 16 players, but during the public tests we discovered that even 32 player servers with heavy activity ran constantly on at 1.0 sim-speed. Some people even successfully tried a 64 player FPS combat server (more fighting, less engineering). Below are some stream highlights of multiplayer testing ran by Xocliw during his recent streams. As one of the Keen Software House mottos says: ”Reality is the best game designer”, we decided to run several multiplayer public tests and we involved the Space Engineers Multiplayer Community during the development. The feedback we received was very valuable and helped us discover many areas for improvements. I’d like to thank everyone who participated and who provided feedback to us. Space Engineers is a very complex game with volumetric and destructible physics. There are infinite ways how to play it, how to build things, what blocks to use, how to integrate them, where to travel, what to do, what to destroy, and how large and complicated players can decide to make their ships. The first version of the multiplayer (January 2014) was a barebone implementation, just to make the multiplayer somehow playable. It was far from finished and we knew it. We were still adding and changing features at that time, so we were not focusing solely on the multiplayer. With today’s release however, we came back to multiplayer and we spent a significant amount of time doing it the right way. We hope that you will see the results. Looking back, I can say that multiplayer was the biggest and most challenging feature in Space Engineers. Planets, physics overhaul, visual tweaks, or any one of the hundreds of previously implemented features, don’t come even close to the scope of multiplayer. To have a smooth multiplayer experience, we first needed to invent a multiplayer architecture that can handle heavy physical and dynamical simulations, which players in Space Engineers tend to create. At the same time, the game engine needs to stay open for further enhancements and different directions where we can push it (e.g. MMO). Changes were needed on both the server and client side, a lot of code was rewritten and many experiments were made with you, our players. Because Space Engineers is the only game of its kind (having specific scope and properties), there are no available resources and experiences (R&D papers from academia, other game studios etc. ), we had to discover all solutions by ourselves. With this update we can confidently say that all major issues are solved and multiplayer is finally a fun and pleasing experience. 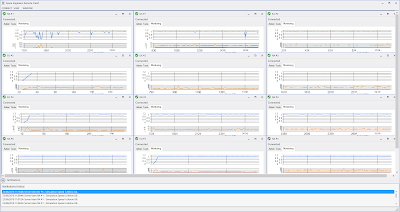 Together with netcode design changes, there was also a big part dedicated to performance optimizations. We carefully profiled every game play session, hunted performance peaks, memory leaks and then optimized the most annoying issues and bugs. Some of them were tricky, as they only appeared in multiplayer games with a specific amount of players doing specific activities (and often in a specific order). We are proud that we solved most of them..
For example, check how we tracked statisting of one EU server. You can compare the number of players playing in the game together with CPU performance and memory consumption. Note that CPU is mainly under 100% (which means simspeed = 1.0) and memory has very low increasing tendency. The first part of memory statistics is an example of leak, which we were supposed to track and fix. On top of the development work, we paid a lot of attention to testing. When we perform any kind of test internally, we are biased to do it in a certain way. But when we opened it up to you, our players, you gave us fantastic feedback that helped to make this release great. On top of this, we cooperated with an external company which tested the game for three weeks as well. With this major release we are also introducing the highly requested female engineer! Please welcome her on board and give her special attention while enjoying the game. We are adding the female engineer as a result of our cooperation and feedback from our community, as it was one of the top voted ideas at our feedback portal. You are helping us to make the game better, and this is our way of thanking you for your fantastic suggestions. Our female engineer was created from scratch, with brand new animations and movements. You can customize her with all of the skins that are currently available for the male engineer. Quality assurance - test it all! Very important! 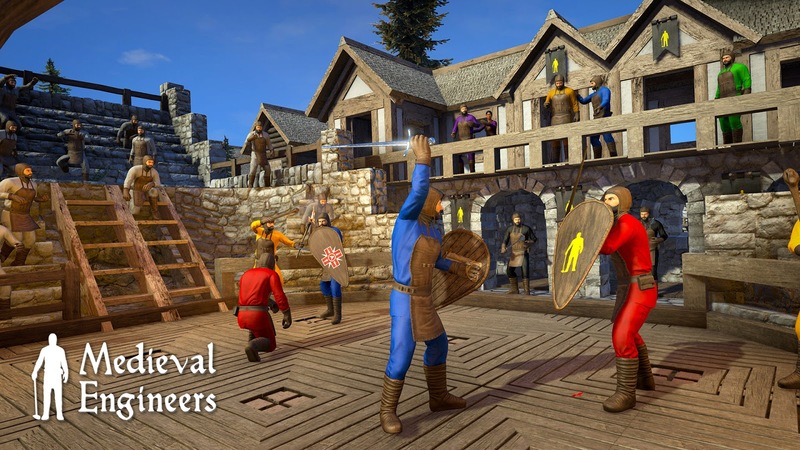 This multiplayer overhaul brought many new features. 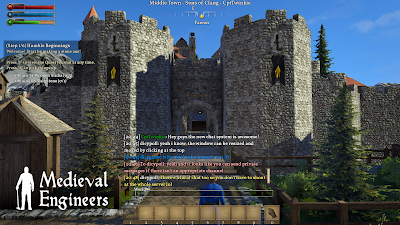 There are many I can mention, but I’d like to highlight the safe-zones, reworked warnings and its UI, new player respawn system, new experimental mode, updated animations, performance optimizations for all blocks to reduce their system usage, updated server lists and dedicated server management and many more. The newly introduced Safe Zone is a spatial area where specific actions can be limited. A Safe Zone is displayed as a colored transparent area and can only be defined by a server administrator, who can limit actions like shooting, welding, damage (per safe zone or globally). Entering the Safe Zone can be limited per player, character or faction. A Safe Zone behaves like an inverse gravity field (box or spherical), so everything that has access denied is being pushed away. To avoid breaking gameplay consistency, we decided that Safe Zones can only be static for now. Safe Zones were part of our game design since the beginning. PCU (Performance Cost Unit) Limits are the next iteration of block limits. Its purpose is to keep server performance in a more effective way than just limiting block types. Every block has its own defined PCU value, which says how much performance impact a block has under full load (when all its systems are activated). More PCU, more performance heavy the block is. PCU can be defined per world, as a pool, which can be used for building. This pool is then split per player, per faction, or global. Limits per faction are also a new feature introduced in this build. Please note, that you can change the default PCU limits in the Experimental mode. For example: The world has 100,000 PCU pool, there are only two factions, red and blue, there cannot be more factions. So each faction has 50,000 dedicated PCUs. A player which does not belong to any faction cannot build anything. Removed or destroyed blocks PCU are returned back to the faction PCU pool. A player who wants to change the faction, needs to check that all his/her blocks PCU are within the faction limit he/she wants to join. Many experimental, unofficial and not fully developed features are hidden under the Experimental Mode checkbox in the Game Options menu. These were the features that we added to the game throughout its early-access development, but are now not considered to be officially part of the game. However, we don’t want to remove them from the game because many players are used to them. Everything will stay the same as before in the experimental mode. New players are in safe mode with only selected features and limits. All existing players have experimental mode enabled by default. If you want to join an experimental server, or a custom game, you have to have experimental mode enabled in your game options. It’s still possible that in the future some features could move out of experimental mode if we discover a way to make them viable and performance-friendly. The experimental mode was introduced because we want to guarantee flawless gameplay, but we can only do this if we can control the boundaries. Mods, unsafe settings, or unofficial features are out of range what we can guarantee. One of the features moved to experimental mode is locally hosted multiplayer. 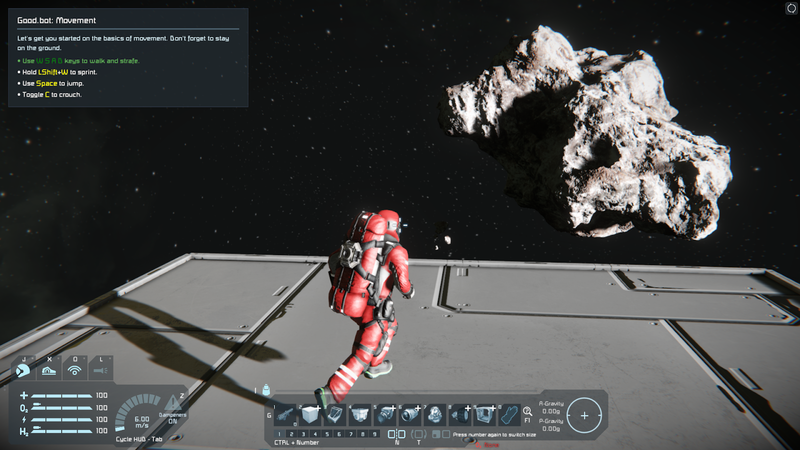 We introduced the new netcode to it, but so far invested the majority of our resources into dedicated server multiplayer as we believe that this is the best way for playing Space Engineers with others. Some game scenarios have been temporarily affected by this change, but we will be revisiting them during the upcoming development anyway. In non-experimental mode you will not be able to see some scenarios and they won't be customizable. We reintroduced the old quickstart where you started on Easy Start Space platform, in creative mode. This is just a temporary introduction to the game, before we redo the whole "get to know Space Engineers" part, before we create a proper tutorial. We have updated the minimum and recommended requirements to better match reality and players’ expectations. The actual requirements of Space Engineers haven’t changed in the past years - in fact, as we have been optimizing the game in past 3 years, now you can run more complex scenes on less powerful computers. However we are updating the system requirements so that new players have a better idea of performance requirements. In the past, minimum requirements were bare minimum and would not guarantee a good experience in more complex conditions and scenes. So we wanted to communicate this more clearly and give all players the correct expectations. You can still run Space Engineers on hardware bellow minimum requirements, but we cannot guarantee good performance in all cases. To make sure that we will bring the best multiplayer experience, we have decided to provide official Keen dedicated servers. With servers located around the world, we are bringing you fantastic gaming experiences. We plan to increase the number of dedicated servers which will also give us valuable data for further game improvements and changes. Official Keen dedicated servers are highlighted with a star. Later, we will consider awarding reliable community servers with this star highlight. These dedicated servers will be free of charge during the first month. Then we need to think about how we are going to fund their maintenance. This is still an open question, because the Space Engineers’ revenue model with a fixed price doesn’t support long-term recurring servers costs. 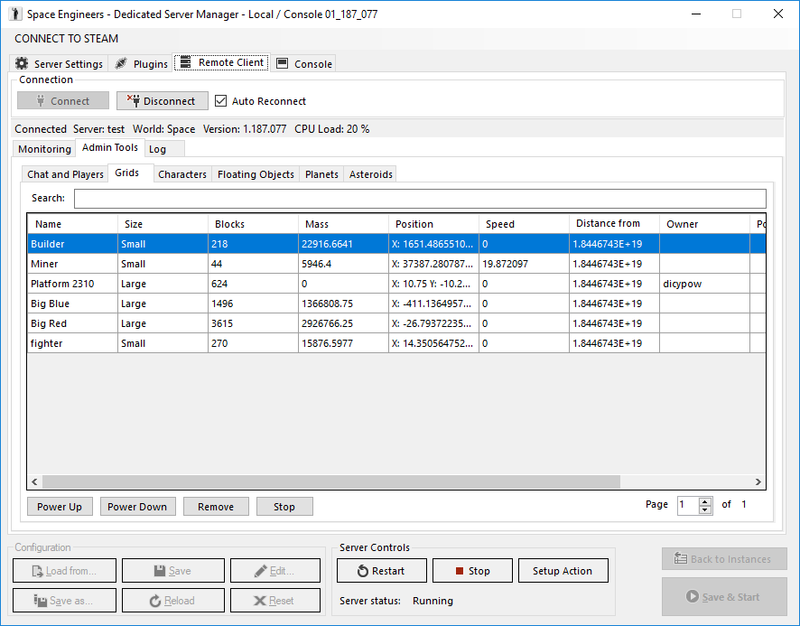 One physical server runs a bunch of dedicated Space Engineers servers, each one consuming approximately 3 CPU cores / 6 GB RAM. More GHz is better (during spikes when there are heavy physical calculations that can’t be easily parallelized), so we are considering even 5GHz machines. A new challenge for us is that our team and a group of selected community members will do 24x7 oversight on these servers - technical and gameplay. We will be monitoring the world nonstop and if we spot a problem, we will be ready to step in and fix it. During the public testing, we monitored how a server ran after being live for 7 days and the results were very positive. Now that the update is live, we will be looking at how servers run after being live for multiple weeks, even months! 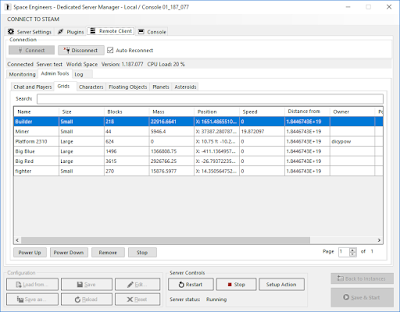 Players who want to run their own dedicated servers (as before) can still do it, and may benefit from a new server admin tool - read the technical description. Smooth! Most other games have already introduced a battle royal mode, or are improving their system to tap into the reward center of the brain. But you guys... you guys are fixing stuff, and doing a dam good job! Absolutely fantastic! What exactly are you doing to improve it? Improvements to the engine or something else? I am too excited! Which means something because I have had a serious love/hate relationship with this game for a looong time. Q: Why did it take four years to come up with solid and working multiplayer? A: Since we first released multiplayer in Space Engineers, we’ve considered it as a working prototype and we knew it’ll take more time to get it finalized and properly finished. With our early access game, the priorities are changing quite often. 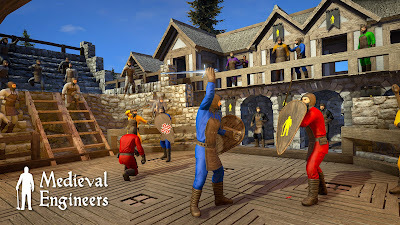 We were focusing more on new features, new blocks and gameplay and therefore the multiplayer was still in the same state. However we were listening to our community and at a certain point where features were finalized we knew it's time to focus on the multiplayer. With that, we decided to work on optimizations and many other things closely related to multiplayer. Q: You were apparently inspired by community creations and MODers’ work. Why did you take this from them? 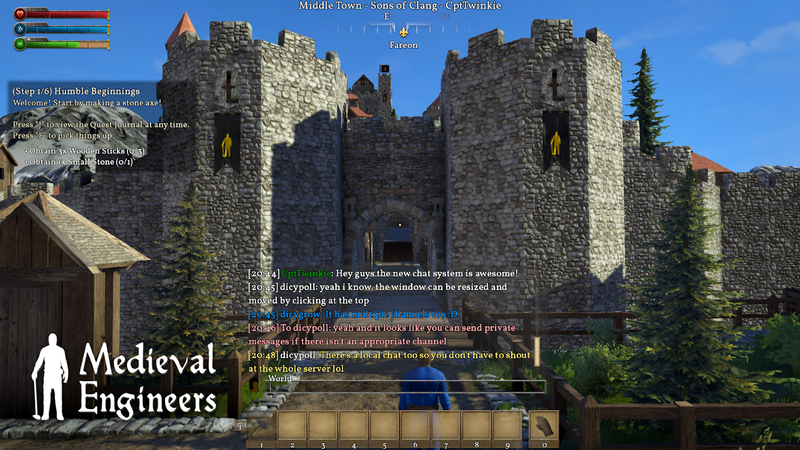 A: We are grateful that modders have implemented some popular requested multiplayer features that were missing in the core game over the years. But we always planned to implement these features ourselves, because they are part of the core and should be in the vanila game. We are very thankful to our modders for all the great discussions we’ve had over the years and we hope to keep this cooperation alive in the future. Special thanks to rexxar, Jimmacle, Equinox, and others! Q: Why can't Space Engineers support more than 16 players as other multiplayer games? For example Medieval Engineers, Fortnite, etc. 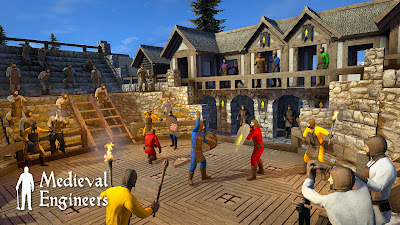 A: 16 players is just our recommended setting for default multiplayer scenarios. 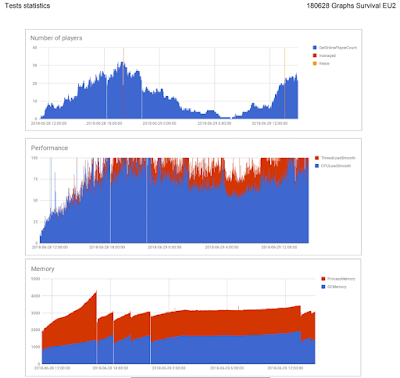 During the public tests, many servers ran at constant sim-speed 1.0 even with 32 players doing heavy activities. Some people even successfully tried 64 player servers and were very happy. Summary: comparing system requirements of Space Engineers with other games is not possible, there are no other games having such complex networked volumetric physics. Q: Why did this release take six months to go live? A: This overhaul was not an easy task. We went from a deep dive of technical root cause analyses to optimizations and then to thorough testing. Only for better understanding, one test cycle took three weeks and it included a couple thousands test cases. I’d like to highlight the fantastic job that both our development and testing teams did in this release. All the credit goes to them for their outstanding work. Q: Are you abandoning the game? A: Definitely no. 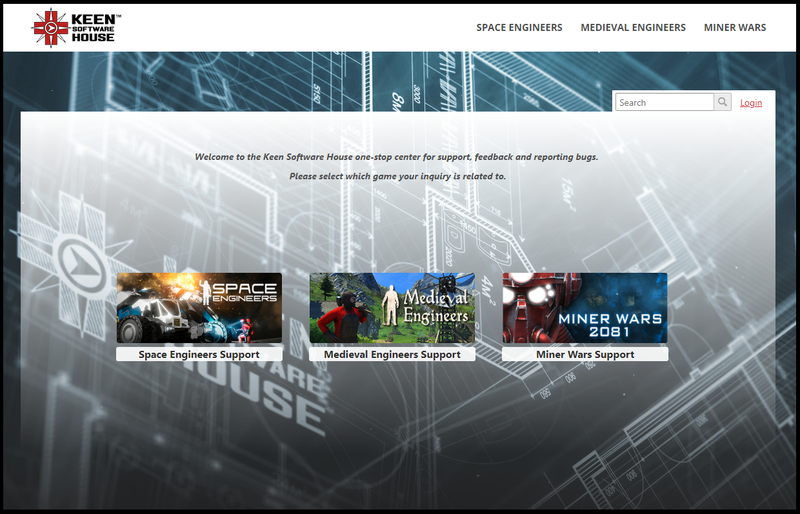 We are just getting warmed up :-) We love Space Engineers, we love what we do, and we love what you keep creating. There is the same team working on the game as last year and the years before. We have hundreds of ideas what to add, and the grand-vision for the gaming universe we are creating is still unfulfilled. 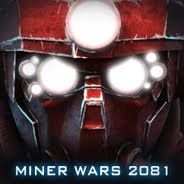 Miner Wars was the first step, Space Engineers is the second step. The future is long and beautiful! Q: Why can't we use mods in the default multiplayer (why we need to switch to experimental mode)? A: There is no way we can guarantee that the MOD will not degrade or halt the game. The mod responsibility is completely on the author of the MOD, and that’s why it requires more experienced players. Q: Has your game engine VRAGE reached its limits and it’s no longer possible to optimize or extend Space Engineers? A: No. Our game engine is an open system, we are constantly upgrading it, optimizing, changing the architecture, doing principal changes, changing the core inner workings. It’s not a static unmodifiable system. It’s a living organism. We have plans for even more fundamental changes for future installations of our games. One spoiler: events and calculations should be asynchronous by default, allowing a physical reality where one slowly calculating event doesn’t halt the rest. This idea is basically about granularity of entities and calculations and is similar to actor-model paradigm. 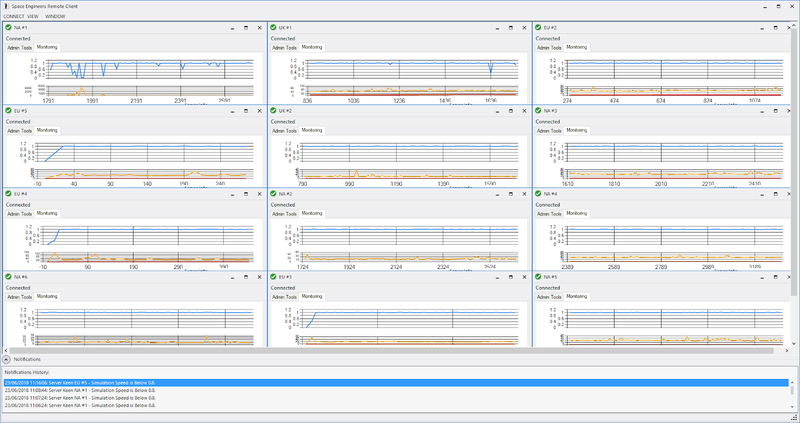 We already have parallelization and event-driven parts around the place, but there’s always room for improvement. Even though we usually do not disclose our future plans, we are going to make an exception this time. Space Engineers has been in early access for almost five years, we know it’s time to get the game out. We are working to get there. We do not have the date yet, but we want to make sure that the game will be fantastic when it goes out of early access. This first installment of Space Engineers was always about bringing up the building blocks, to lay down the structure for physical volumetric engineering. We are almost finished. The next steps that will come in future installments, will focus on other aspects of gameplay as well as pushing the technology further. In the long-term, we plan to extend the game and the whole engineering genre into new pioneering directions - just like we did in October 2013 and since then. However, this is still far off, too soon to talk about it now. If you are aware of any situation during which the sim speed drops below the 1.0 level while using the recommended settings, please let us know via our new support site. The same as with our previous major releases, I am super happy with the work our team has done and super excited to share it with you all! Space Engineers multiplayer now behaves the way we have always envisioned: fast, robust and solid. 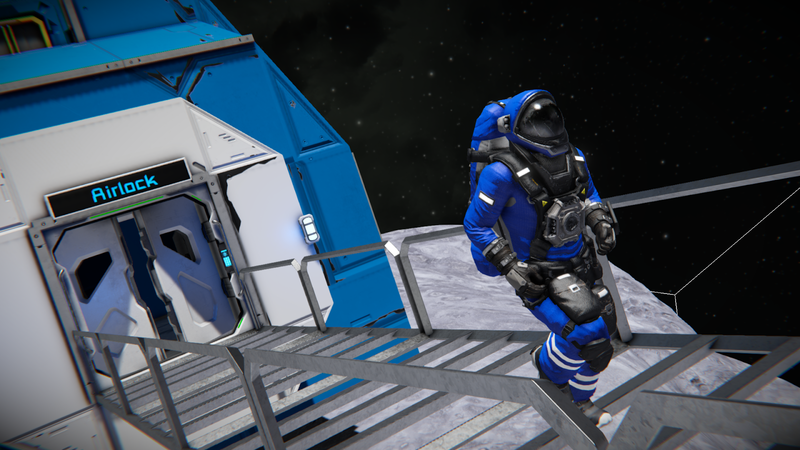 As Space Engineers is still under development, there may be bugs (our testers spent hundreds of hours testing, but this is nothing compared to tens of thousands of hours played by our community immediately after every update). Nevertheless, we will do everything we can to fix any issue as fast as possible. By the way, most likely we will do a few hotfix updates in the days after this multiplayer update. I truly enjoyed working on this update, it took a lot of hard work and determination, the whole process consisted of over 800 tickets (work tasks) for my team and myself. It has been my main priority over the last 6 months and the whole process has been a pleasure. 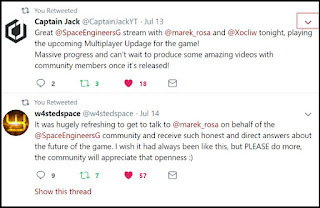 I would like to thank everyone who stood with us patiently for all these years, who kept supporting Space Engineers, who helped with multiplayer tests, modders, YouTubers, people running their dedicated servers, people creating new content, people who helped other players to get into Space Engineers and people who believed in our team. I have awarded $15,000 of prizes for the second round of GoodAI’s General AI Challenge, Solving the AI Race. The six top solutions out of 59 were awarded prize money. This was just the first stage where the goal was to get as diverse pool of ideas as possible. Prize winners have been invited to the Human-Level AI Conference in Prague this August to discuss their submissions. We intend to continue working on solutions to the AI Race. In the future we will focus on concrete KPI’s and testing for robustness of solutions. Acceptance: how likely it is that actors involved will accept the idea. E.g. in case of an actionable strategy, what is the chance actors would publicly pledge to it? In case of a framework, how easily could it be adopted? Novelty of ideas: has it been suggested before? This was just the first stage where the goal was to get as diverse pool of ideas as possible and we intend to continue working on solutions to the AI Race. We are glad we got such a diverse range of ideas and opened up many points of discussion. The judges concluded that none of the submissions provided a complete robust solution to all of the possible pitfalls of a race to AI. Therefore, the next round of the Challenge is likely to focus more on concrete KPI’s and test for robustness of solutions. The prize winners have been invited to the Human-Level AI Conference in Prague this August, which is being co-organized by GoodAI, where they will be able to discuss their ideas further in an AI Race and Societal Impacts panel discussion on Friday 24 August. Everyone interested in the General AI Challenge can also benefit from a 10% discount to the Human-Level AI Conference using the discount code: Challenge-HLAI18. As the submissions really got the judges thinking, they have also been invited, by jury member Roman V. Yampolskiy, to submit their papers to a Special Issue of peer reviewed journal Big Data and Cognitive Computing journal - "Artificial Superintelligence: Coordination & Strategy". A big thank you to everyone who took part in the Challenge and to all of the judges, it has given us some serious food-for-thought. We will continue to work on creating a robust solution and urge the community to take part as well! If you would like to collaborate in any way please get in contact with us.